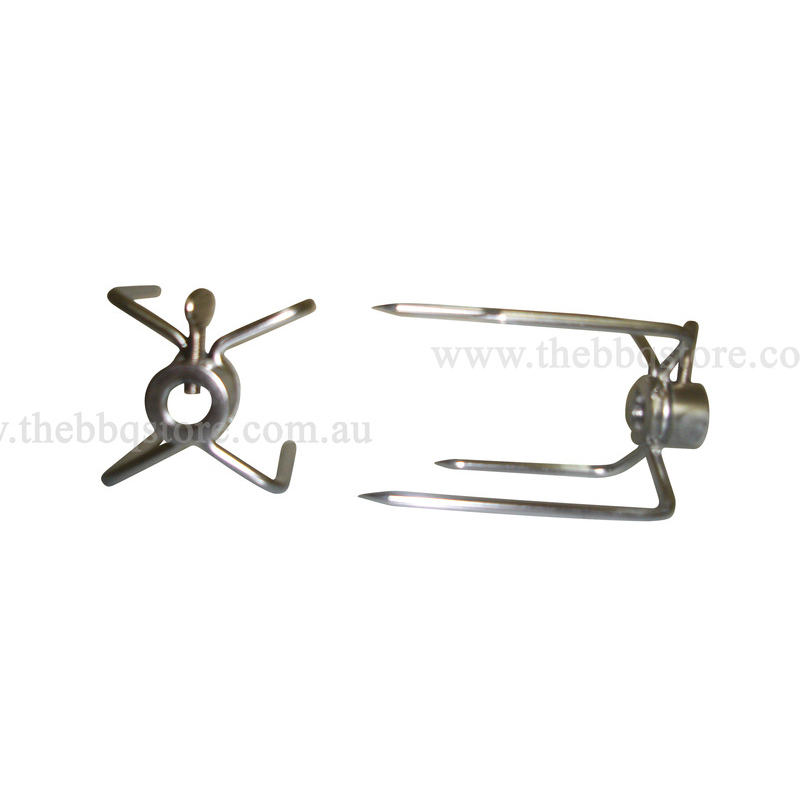 The 4 prong fork set is a 2-pc set that is suitable for use with gas or charcoal rotisseries that may be cooking large, awkward, or difficult pieces of meat for large gatherings of people or family. 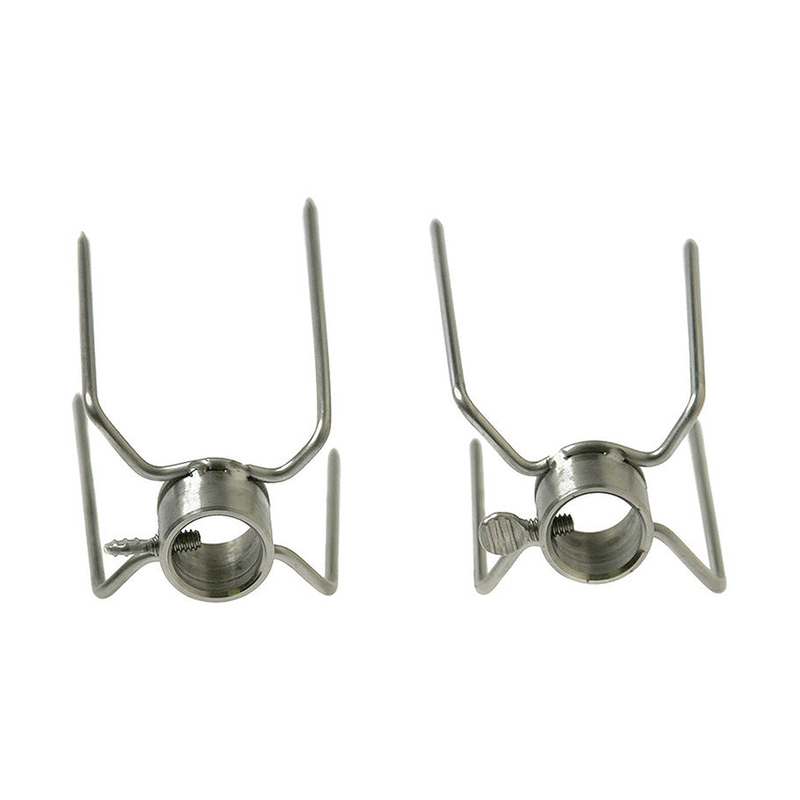 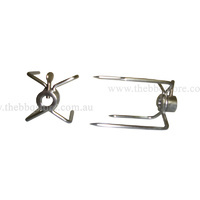 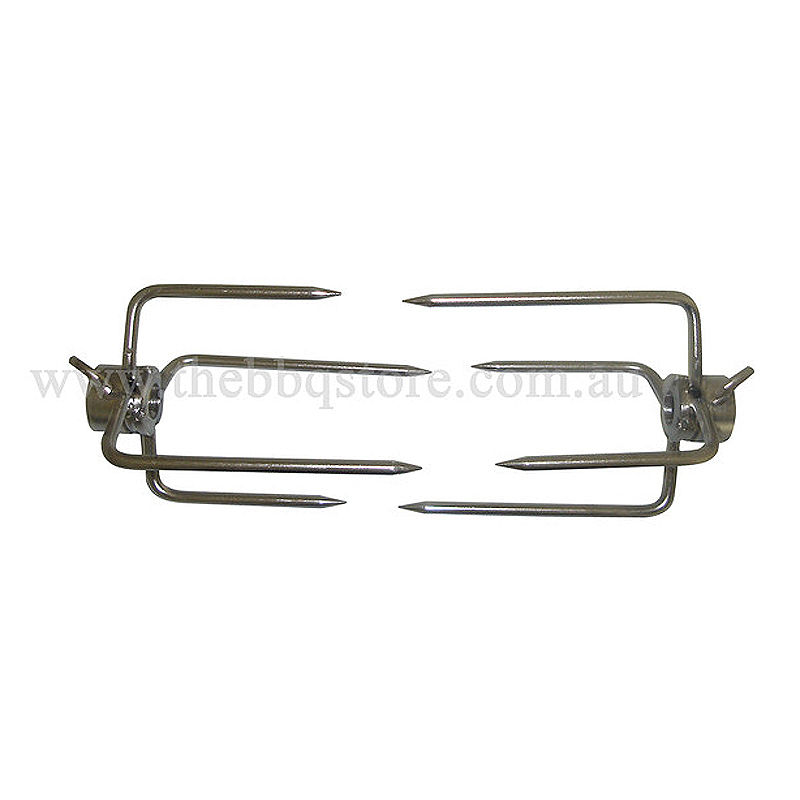 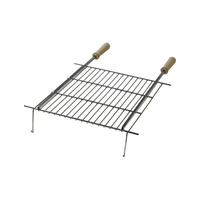 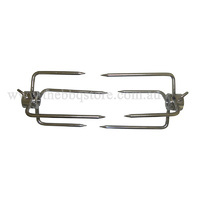 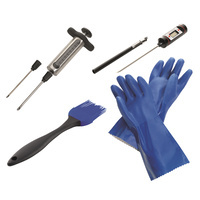 These rotisserie prongs are ideal for use with large round stainless steel skewers (17mm to 22mm diameter) that can support the heavy weight of the meat, and are suitable for promoting high strength and support when used to help prevent the meat from becoming unbalanved or free spinning and moving when being cooked. 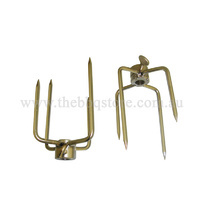 This prong fork set is easily setup by simply pushing the prongs through the meat securing it into place, and features a lightweight size that allows for simple handling. 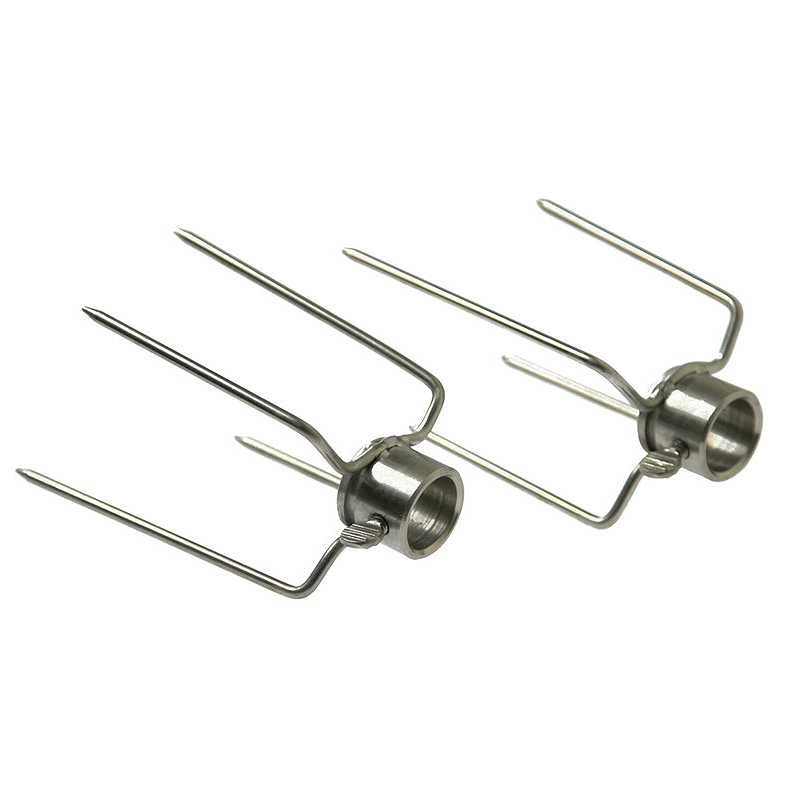 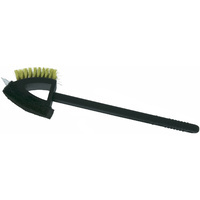 Offering an easy to clean exterior, these prongs are ideal for easy washing in water allowing for them to be cleaned and ready for use the next cooking session. 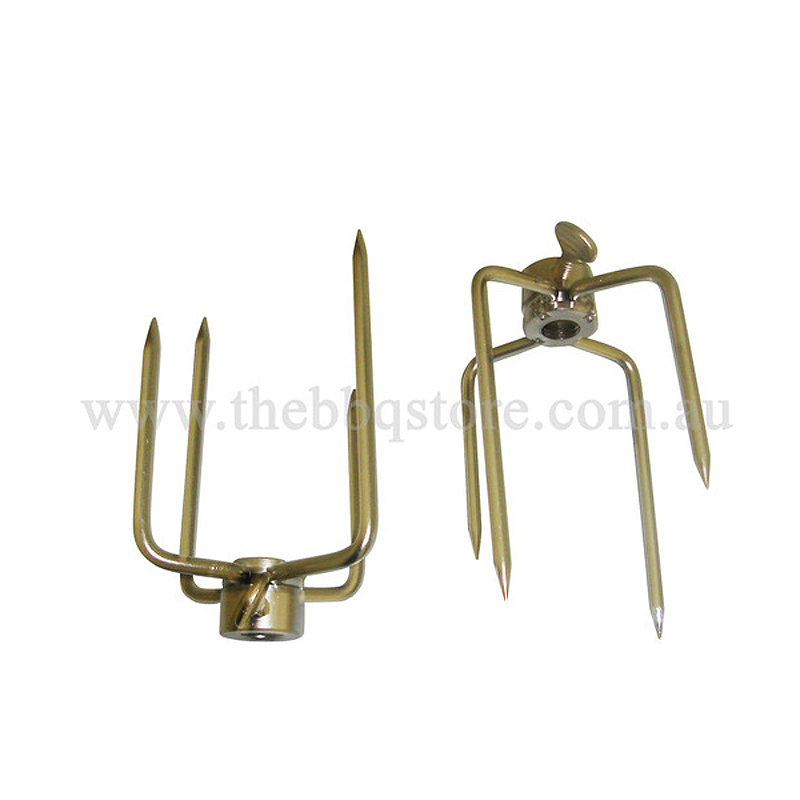 Different style of prongs available for cooking whole animals.